The Commonwealth Games is one of the biggest events of the sporting calendar but what is the real economic impact and what should I do with my investment property are the questions we are being asked. The City of Gold Coast Council estimates that there will be more than 100,000 visitors during the games, bringing more than $270 million to the local economy. Not only that, but the equivalent of 30,000 full time jobs are expected to be created as well, along with a $2 billion economics injection and $200 million in new sporting and community infrastructure. The entire city of the Gold Coast is soaking up the economic stimulus helping to create employment as well as new attractive sporting facilities in a metropolitan area that already has a heavy sports focus. What are the current market trends in the suburb where my property is located? With a large amount of rental properties expected to be vacant at the end of the Commonwealth Games what can we do to ensure my property is well positioned in the market? Has there been an increase in median rents in this area? When was the last time you conducted a rent review? Are there any maintenance requests outstanding that are effecting my ability to secure a higher rental price for my investment property? 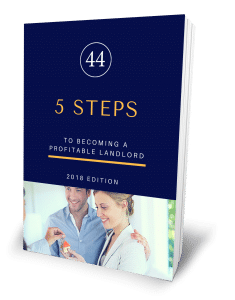 These 5 questions will put you on the front foot to achieving great rental results with your investment property. If you would like some complimentary advice that is completely confidential then get in touch with us today.